This AHM 40-foot sliding door box car was a product of Taiwan. 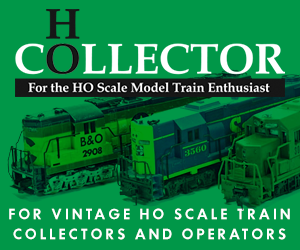 The tooling very closely resembles that found in the 1970s Lionel-HO line and Bachmann’s example available since the early 1970s. Kader operated a plant in Taiwan during the time this car appeared in the AHM catalog. I would speculate that this car, like others in the line, was produced by Kader for AHM. Kader is the parent company of Bachmann. The trucks are held to the underframe of the car with a plug. The coupler housing is a large box design, again similar to some Lionel-HO and Bachmann examples of the 1970s. The origin mark is located on the center beam of the underframe and reads AHM and TAIWAN. The car featured separate doors, roofwalk, and brakewheel. AHM catalog a dozen roadnames in the 5241 series set. The retail price was $2.49 for this car. The same or very similar tooling is also found in the AHM line for its 12000 series 40ft. sliding door box cars sold beginning in the early 1980s. I have also found examples sharing what appears to be this same tooling in a prior release for what seems to be the early 1970s. The red boxed Boston & Maine example was AHM stock number 5241-G. 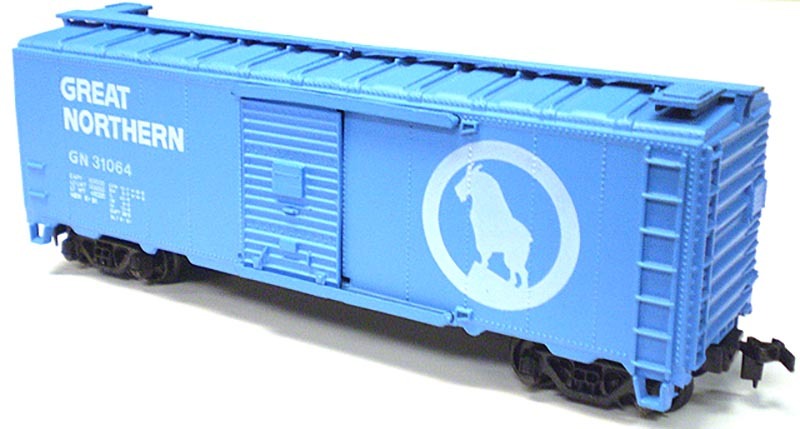 The blue boxed model carried stock number 5233. Both appear to share the same tooling and same lettering. This orange and green “Empire Builder” scheme Great Northern car pre-dates the Big Sky Blue example, both in the prototypical world and in AHM’s universe. Cars carrying individual stock numbers with no dash-suffix numbering are generally the original release offerings from AHM.